Unique coloring pages for adults can be hard to find. Have you found the same to be true? 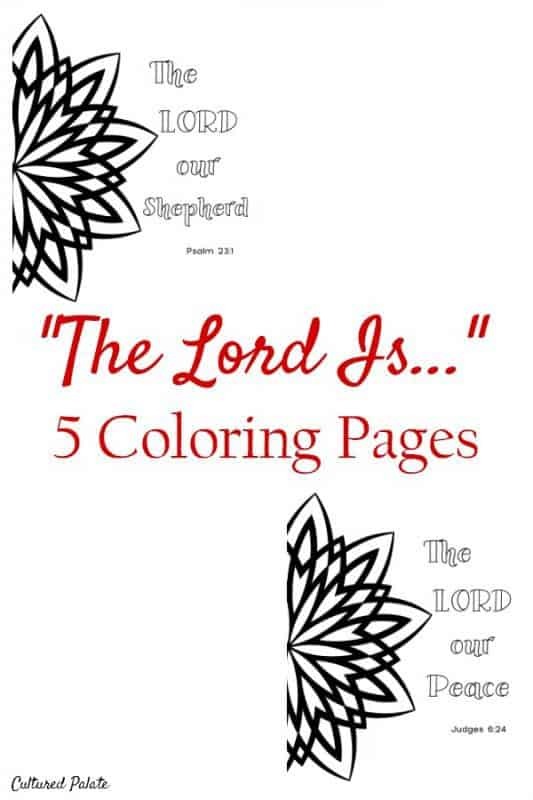 Desiring the unusual and different was the inspiration behind “The Lord is….” coloring pages with its 5 different names. After all, we are individual and unique so why can’t coloring pages be different too? You can often find many types of coloring pages for kids but when it come to coloring pages for adults that inspire, well, that can be hard. When I color, I really like to think on things that encourage me in my Christian walk. Coloring is a great way to do that. 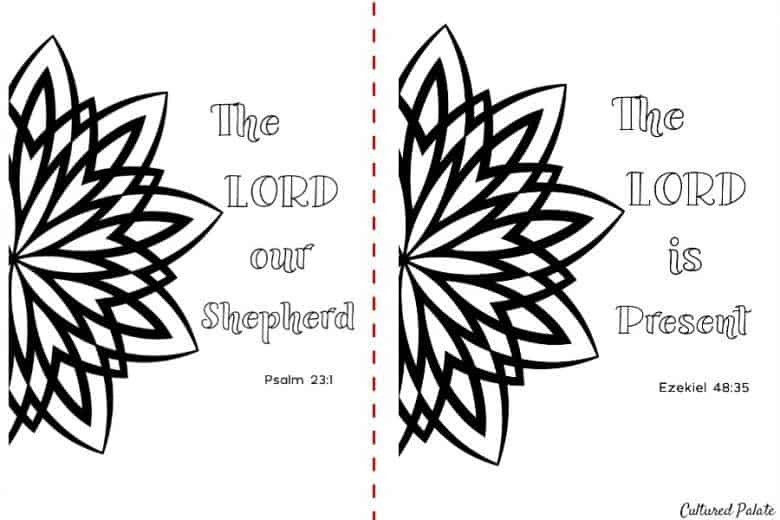 Some other coloring pages for adults (and for children too) are the Inspirational Coloring Pages, Names of God in Hebrew and the Living Love Coloring Set to name a few. All the sets can be found in the Cultured Palate Store. So, be sure to check them out and discover your creative inner self! Coloring is one of the most inexpensive hobbies you could ask for. Once you have something to color, all you need is something to color with! These are the colors I have tried: crayons, coloring pencils and markers. Personally, for most patterns I prefer the markers but again, it is personal preference. Have you tried this or any other coloring page sets, be sure to leave a review letting me know – I love to hear from you! Are there other coloring sheets you would like to see created? 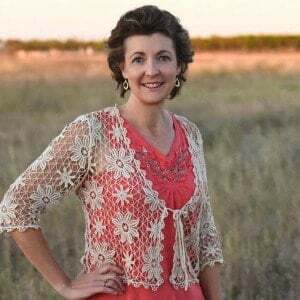 Leave a comment and inspire me!